To live an abundant life, you must be grounded and connected to the Earth. 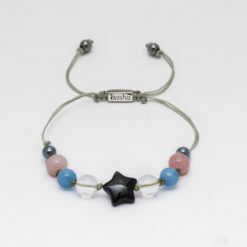 Wearing this bracelet helps you to feel grounded, balanced and recharged. It helps you to take steps forward, towards your goals and dreams, instead of remaining in the same place or moving backwards. Made in Costa Rica by a healer. Style: Silver 9.25, Tiger eye, Shamanic Quarts crystal, Master Stone, volcanic lava Stone from Costa Rica. 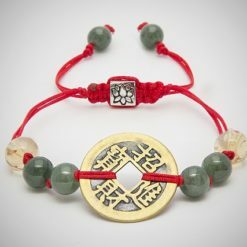 This healing Stone combination is an excellent grounding wire, which promotes balance and strength to get through difficult situations. To live an abundant life, you must be grounded and connected to the Earth. 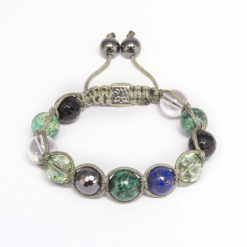 Wearing this bracelet helps you to feel grounded, balanced and recharged. It helps you to take steps forward, towards your goals and dreams, instead of remaining in the same place or moving backwards. 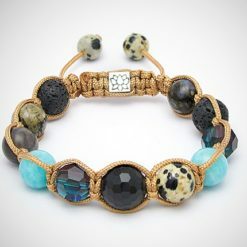 This healing stones absorbs all the negative energy from your body to eliminate stress, anxiety and worry and enhances courage, grace and the ability to see situations clearly.